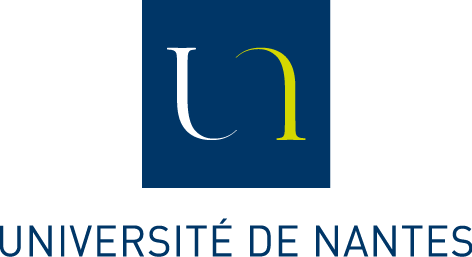 On behalf of the Lowcomote-ITN, IMT Atlantique (France) is pleased to announce the recruitment of 15 Marie Skłodowska -Curie (MSCA) PhD positions (Early Stage Researchers). The project is titled Lowcomote: Training the Next Generation of Experts in Scalable Low-Code Engineering Platforms, and it has 15 PhD positions (Early-Stage Researchers – ESR) in the area of Computer Sciences (software engineering, Model-Driven Engineering, operating systems, computer languages, Modelling engineering, Cloud computing, Low-code Engineering Platforms) starting 1st September 2019 for a duration of 36 months. This specific PhD position will hired by the LS2N among the team Naomod at the IMT Atlantique ( IMT ) France. Declarative model query and transformation languages (MTL) are primary candidates for expressing operations on artefacts in LCEPs, e.g. for translation, analysis or code generation. They allow for a concise executable description of the operation semantics, which is highly readable and understandable, thus ideally suitable for citizen developers. Research on the implicit distribution of such languages is an active area of research, with the purpose of combining development efficiency with high scalability, needed for the very large models in LCE. Current approaches focus on mapping the declarative MTL to an existing distributed programming model. The choice of the underlying programming model among the plethora of available ones is based on affinity with the execution semantics of the MTL and on the desired efficiency properties. For instance, the ATL language has been mapped to MapReduce, Linda, Reactive Programming. Experimentation in these works has shown that the choice of most efficient programming model is strongly dependent on the particular transformation. In this project we want to develop static and dynamic analysis techniques for declarative MTL code, in order to automatically select the most efficient programming model for a given transformation. Moreover, within a transformation it may be possible to identify sub-computations that are more efficiently distributed using a different programming model w.r.t. the rest of the transformation. Hence, we want to be able to automatically decompose the transformation (e.g., through graph partitioning techniques) and independently select a programming model for each one of the sub-transformations according to some static or dynamic constraints. Such an approach will require an orchestration mechanism among different transformation engines with synchronization points based on recent research on model coordination, and sharing of intermediate data. The final orchestrator will also be able to integrate natively distributed transformation engines like the one developed in ESR13. Such an orchestrator could also take advantage of component models to statically or dynamically create an assembly (i.e., a composition) of a set of sub-transformations. Finally, such a set of sub-transformation using heterogeneous programming models should be easy to deploy onto the underlying distributed infrastructure. Component models could also help in this task.